Related report of the Joint Meeting of the Board which took place in New York, 1st June 2018. 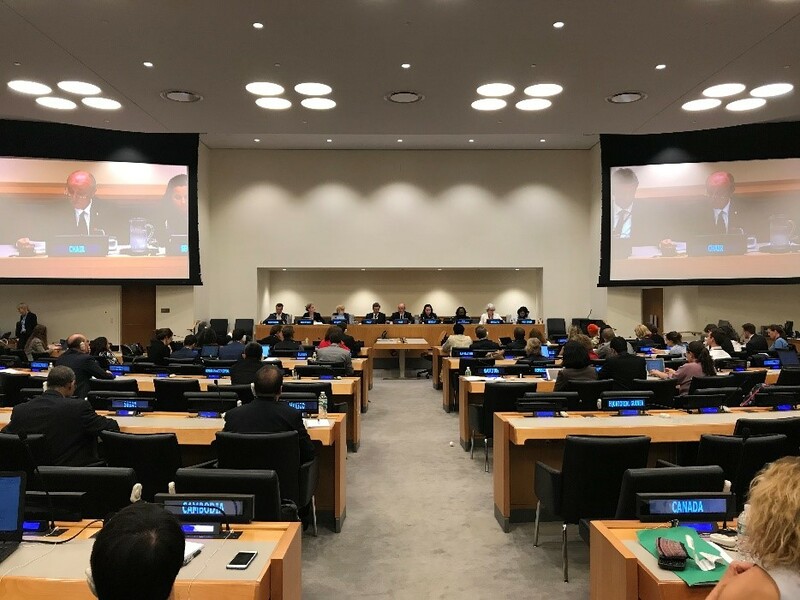 On 1 June, the 2018 Joint Meeting of the Executive Boards of UNDP/UNFPA/UNOPS, UNICEF, UN-Women and WFP (JMB) took place at United Nations Headquarters in New York to explore ways of working better together. H.E. Mrs. Amina J. Mohammed, Deputy Secretary-General of the United Nations, delivered an opening statement to the participants. The Executive Directors of UNDP, UNFPA, UNOPS, UNICEF and UN-WOMEN and the Deputy Executive Director of WFP also spoke on the main agenda topics. For the morning session, the example of Sudan served to review joint efforts to strengthen coherence, collaboration and efficiency in the field in view of implementing the 2030 Agenda. Representatives from different United Nations agencies shared their perspectives on the joint work in the country. While in New York, the President also took advantage of the opportunity to visit the WFP New York Office and meet its team. The agenda, background papers and the full remarks of the WFP Executive Board President are available here. In 2019, WFP will be responsible for coordinating the JMB at its Headquarters in Rome.